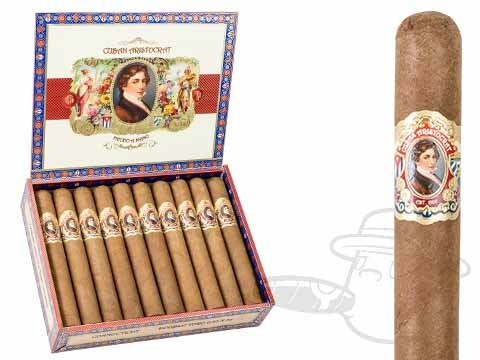 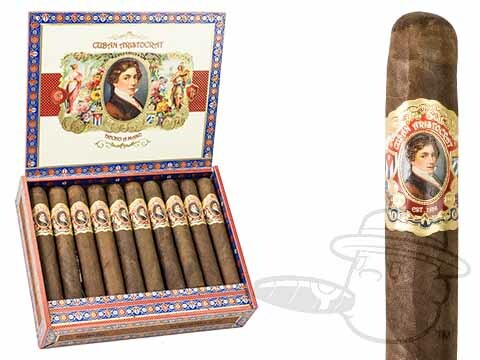 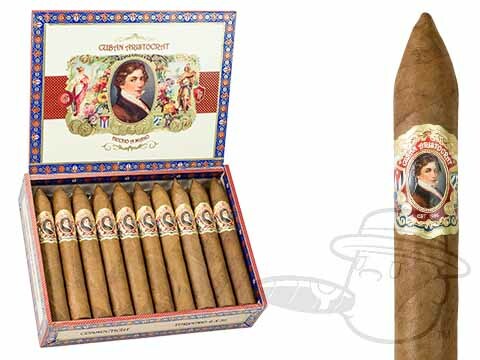 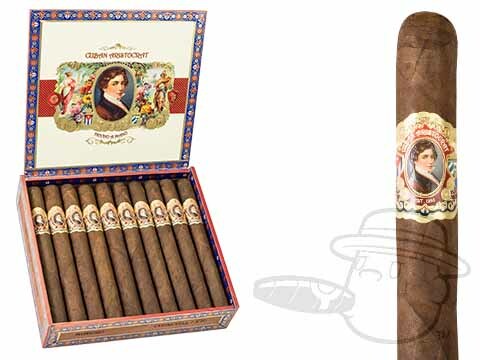 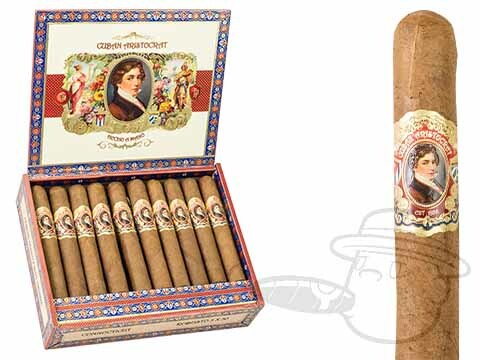 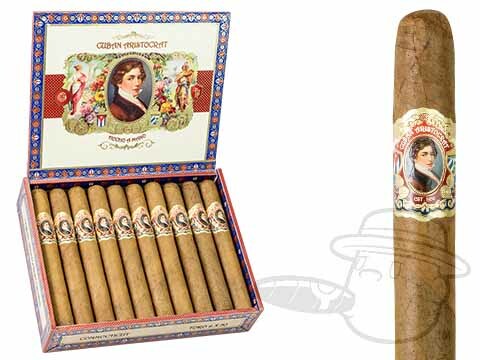 For highfalutin' flavor at a pauper's price, look no further than the Cuban Aristocrat. 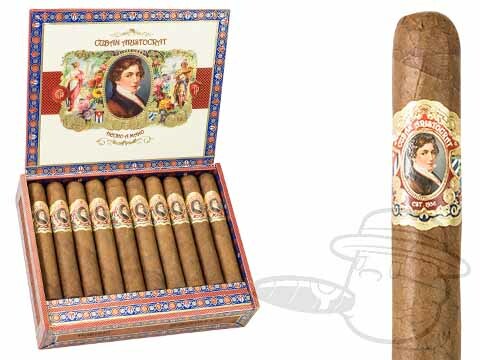 From Miami cigar, makers of La Aurora and Nestor Miranda cigars, Cuban Aristocrat is a bundled cigar with bombastic character to impress even the most demanding palates. 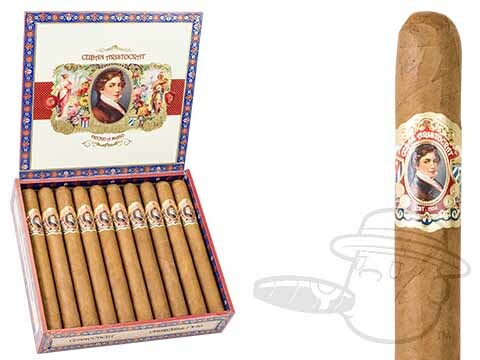 In your choice of Connecticut, Habano, or Maduro wrapper shades, Cuban Aristocrat provides rich, satisfying flavor and a clean burn on each handmade stick. 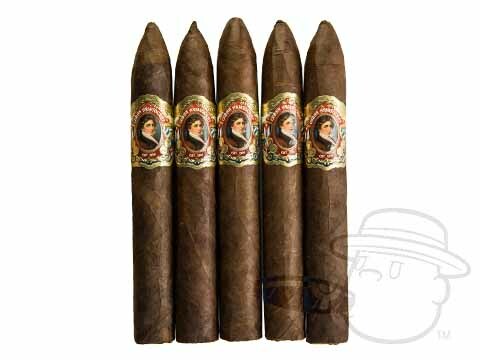 Get them here at a discount that will impress almost as much as the smoke itself.